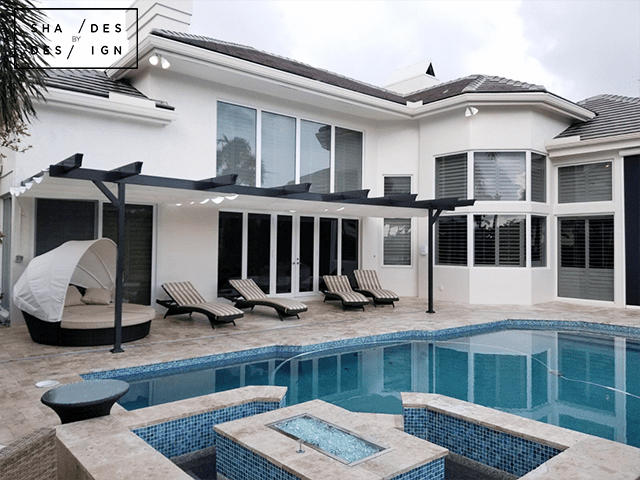 To enhance this outdoor space and to provide a nice cool shaded area, we installed white infinity canopy sliding panels on this beautiful black structure. The location of the existing structure and newly installed canopy also allows the interior temperature of the home to remain at a comfortable level due to the extra shading and UV filtration. 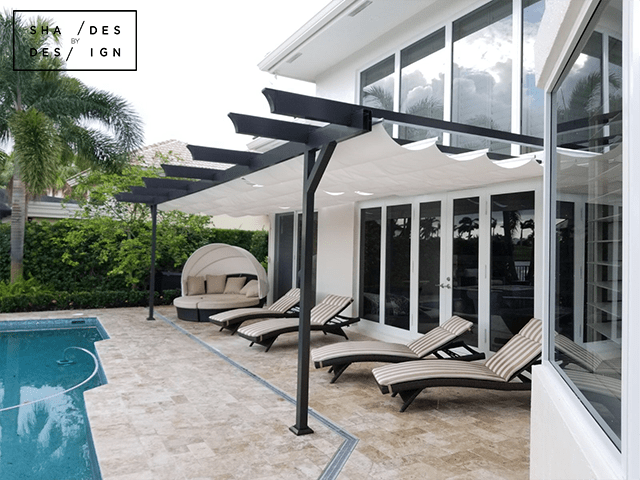 Infinity canopy is a “slide-on-wire” canopy system with a unique modular design that allows these canopies to fit in any space and be easily modified to meet your design and shade needs. This unique design also allows for easy maintenance. 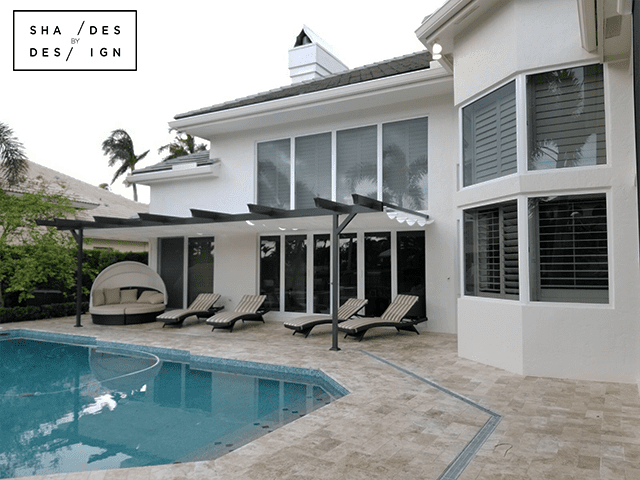 To learn more about out external shading solutions, or to schedule your FREE on-site consultation, contact us today.